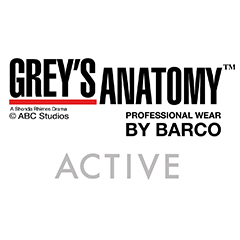 Features Black color details at the neckline and at the chest center panel. For storage - 1 chest pocket on the left with pen slot and a Black bungee ID loop. The side slits provide ease of movement. Back yoke with reflective logo. 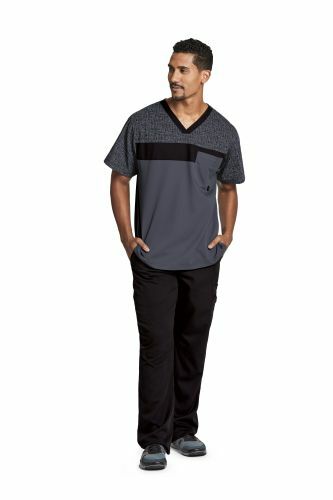 The Grey's Anatomy Active 0117 IHB Men's V-Neck Print Top has Black color details at the neckline and at the chest center panel. There is a hatch print at the front and back top panel and sleeves. For storage, you'll find 1 chest pocket on the left with pen slot and a Black bungee ID loop. The side slits provide ease of movement. Back yoke with reflective logo below.